To save your work you can use <ctrl-S> even in edit-mode. 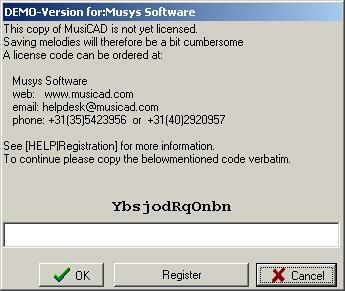 A non-licensed installation of MusiCAD will require you to key in a sequence of letters and digits before your file will be saved. This is one of the built in evaluation restrictions.